Woo! Another horror movie! Honestly, I think it says something about the quality of horror movies this year if a movie this decent ranks as mid-to-low tier out of all I’ve seen thus far. It’s a solid movie with an interesting premise and some good characterisation and scares. Admittedly, I was probably a little more freaked out than most people watching this because I personally actually have some mild fears of the dark, but even if you’re not a wuss like me, there’s still plenty to like. Decent tension, some inventive ideas, it’s little wonder it broke out the way it did in the box office. Admittedly, it does suffer a fair bit from third act fatigue, where the finale wasn’t quite as interesting or inventive as what had come before. And as more facts about the mystery come to light (heheh) the more it sounds… well… kinda silly and makes the threat less threatening. It’s the whole ‘Nothing is Scarier’ ideal. An unknown spirit with unknown motives attacking for unknown reasons is far more frightening than, well… what actually happens. So that kinda cheapened it. Still, there is a lot to enjoy with this movie. It may not be in the top tier of horrors released this year, but it’s still a damn entertaining ride. Yes really. No, I’m serious. I genuinely did like this movie. I thought it was exciting, epic and did things I rarely see in blockbusters these days. And I know almost nothing about World of Warcraft, so it’s not like I have any prior attachment to the franchise. Buuuut, like Godzilla 2014, this is also a movie that, while I enjoyed it, I also entirely get why people hate it so much. The main issue with the movie is, without a doubt, the first act. Which is one of the worst first acts I’ve ever seen in a movie. Like Fan4stic bad. Seriously, scenes jump about with no kind of pacing or intelligent transition, spewing confusing exposition after confusing exposition. While the orc side of things is relatively well done, it takes about 20-30 minutes to have any idea what’s going on with the humans or who any of these characters are or why we should care. And that latter bit is why I suspect the movie was so poorly received. The first act is vital in a movie to make us care about your characters and if you turn off an audience badly enough, they’re not going to switch back on to enjoy the rest of the film. And that’s a shame, because I honestly do think the rest of the movie is rather good. The characters are developed, sympathetic and there are a lot of genuinely tense and heartwrenching moments. And, quite frankly, we don’t see enough massive fantasy battles in modern blockbusters. So yeah, I honestly enjoyed this movie, even if I do consider it clearly flawed. I know I’m in the clear minority for this, but I’d like to see where they take the story in later movies. Even if it’s only me and China who will be watching them. Coming in as another possibly controversial entry, I was honestly surprised by how much I enjoyed this. The trailers looked bland and I’ve never been that big a Tarzan fan to begin with. But no, it ended up being a perfectly enjoyable action blockbuster in a year sadly dearth of them. It doesn’t reinvent the genre or anything and I suspect I‘ll have mostly forgotten it this time next year, but I had a fun time watching it and really that’s all it needs. Speaking of ‘doesn’t reinvent the genre’, The Shallows was an enjoyable little shark attack movie. Sure it’s nowhere even near close to being Jaws, but it’s not really trying to be Jaws. It’s just a little fun shark jaunt that you’re supposed to breeze through and enjoy. And, in a year… Hell, in an era filled with films with horribly bloated, unnecessarily long running times, it was nice to have a short, tense film that aimed to be short and tense and ended up feeling short and tense. Nothing special, admittedly,but it did its job more than admirably enough. 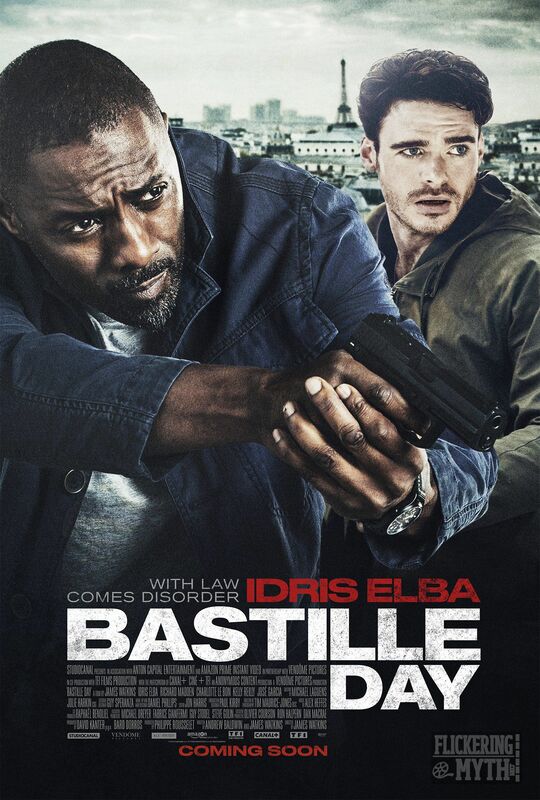 It’s a cheesy action movie with Idris Elba. I like cheesy action movies and I like Idris Elba. Nuff said.